If you appreciate the look and character of older houses or vintage furnishings, one effective way to enhance the charm and integrity of your home — whether building new, remodeling, or just “freshening” it up — is with period lighting. Yet with over 100 years of lighting styles to choose from, how to find the right fixture? What does period lighting offer that new lighting doesn’t? Should lighting match your house’s architectural style, or your dining room table? What does it mean for a period fixture to be authentic? How do you balance respect for history with personal style? Does any of this even matter? Well, last question first — yes, it can all matter. Though chandeliers, pendants, or wall brackets are often overlooked today (or eliminated entirely by cans and spots), light fixtures are far more than lumen-delivery vehicles. As the editors of House Beautiful stated in their 1926 Furnishing Annual: “That an object’s maximum usefulness may result also in its greatest decorative value is nowhere better exemplified than in the lighting of the house.” As much as a sofa, window treatment, or picture on the wall, well-selected fixtures can greatly affect a room’s sense of style, beauty, and comfort. So where to start? One starting point is to listen to what your home is telling you (or what you want it to say). Do your furnishings take their cues from the architectural style or details of your house, or are the rooms just settings for decorative treatments that are unrelated to the house itself? If you were to move out, would the fixtures stay with the house, or leave with the furniture? Once you have identified which approach will lead — and it can be both — select lighting that works well within that context. Whether you go with architecture or furnishings, the predominant design goal is usually an overall sense of stylistic harmony or unity. This harmony can be achieved by using fixtures and other details from the same time period (period-appropriate), from the same “style” (style-appropriate), or — perhaps most effectively — from both. Luckily, styles of lighting, architecture, and furniture all basically correspond, and their periods of popularity overlap, so there can be many more options to build connections than you might think. But knowing all about period styles is not the only option for creating unity or harmony. Another way is to combine interior elements that share similar qualities — regardless of their style or age. While each period style is defined by key qualities that distinguish it from others, individual fixtures can vary widely and find a home with items that do not share a specific date or look. This is a way out of the “period trap” that says everything must match or be from the same era. Selecting fixtures with qualities that reinforce your architecture or furnishings can open the door to a rich eclecticism that is both free and unified — regardless of time or style. When discussing period fixtures, you often hear about “authenticity” — what is it and why is it important? We often appreciate authentic fixtures for the same reason that we say “beauty is more than skin deep.” Lighting designs that are true to the past are living documents of our history and culture, have interesting stories behind them, and can bring real depth and integrity to an interior. If using original fixtures, authenticity is a given. 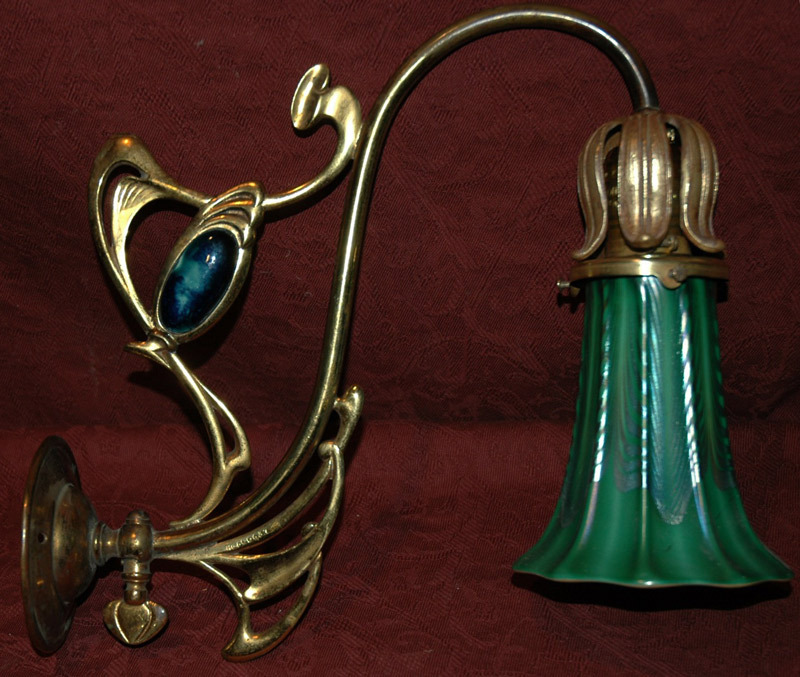 But if you are considering reproductions, remember that true style and character are among the first qualities lost when period lighting designs are “watered down” to make them less expensive or more accessible to the mass market. Finally, it is not an uncommon belief that using old or reproduction fixtures demonstrates a lack of originality or is not “true” to the times we live in, and that choosing only from past examples limits our abilities to be creative. In fact, period lighting is a living part of our culture, just like the houses our grandparents built, the furniture they passed down to us, and even the books that they wrote and read. It helps to remember that those grandparents were just as keen to express creativity in their day as we are now, and there is a remarkably diverse array of interesting old lighting to explore in our collective past — it simply takes a little extra effort. Excited about the idea of using authentic period lighting in your next project? Seek out dealers of new or antique fixtures who are passionate about their work and can tell you what really makes a fixture great. Understand period styles and their underlying qualities to create unity between your house and the objects within it. Build harmony into interiors by finding light fixtures that reflect the history of your home or family while also honoring your own personal vision and style. And strive for lasting beauty and value by approaching your fixture selection with thoughtful care for a whole that can be greater than the sum of its parts. Bo Sullivan is Senior Merchant and a specialist in historic lighting at Rejuvenation Inc. located at 1100 SE Grand Avenue, Portland,Oregon. For additional information on using period lighting, including over 300 different reproduction fixtures manufactured in Rejuvenation’s factory in NW Portland, pick up a copy of its new 128-page 2004 Resource Guide, or visit www.rejuvenation.com to have a free catalog sent to you. More romantic interpretations than actual Colonial-era reproductions, ixtures in the Colonial Revival style are conservative classics, restrained and dignified. Generally electric only, traditional details include faux candles with clip-on fabric shades, decorative tassels, and multiple arms. Both fixtures and shades can sport classical motifs like garlands, leaves, or fluting. Key qualities: Conservative, refined, elegant, formal, traditional. Certain fixtures were so widely popular, for such a long time, that they transcend “trend.” Often elegantly simple and functional, these period classics are familiar, comfortable, and just a touch old fashioned. Such basic fixtures are particularly at home in the kitchen and bath, suit many house and room styles, and usually accept a variety of glass shades to customize their look. Key qualities: Simple, functional, classic, adaptable, comfortable.